The Glossners are highlighted in this episode of The Middle, one of the show's last, when the Hecks, the Donahues, and other neighbors team up to get Sue's car back. 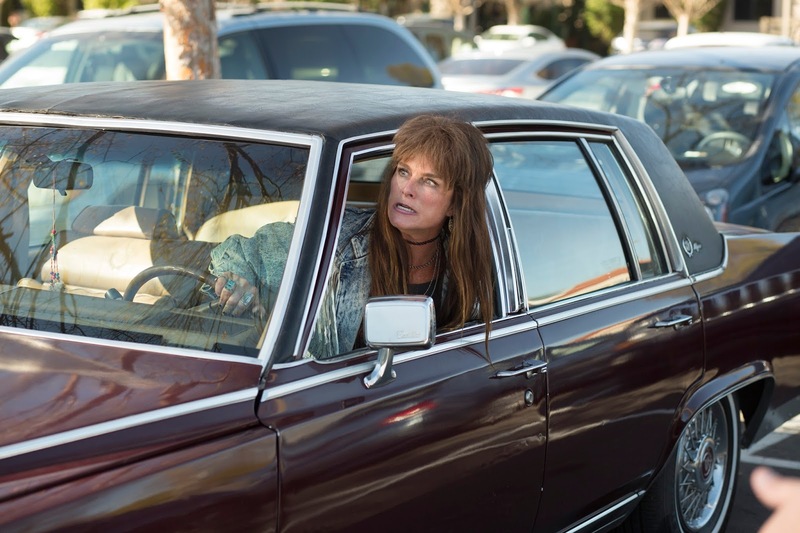 S9E17 "Hecks vs. Glossners: The Final Battle"
After Sue's car disappears from the driveway, Frankie sees Rita Glossner driving the car at the grocery store. The confrontation is very funny, but after that, Frankie is ready to give up. Mike, however, is not, and decides to go to the police. The police though hilariously don't want to intervene. Mike announces that it is time to stand up to the Glossners, and it's great when the rest of the family says "I'm in" except Brick, who realizes he is supposed to say that, but doesn't see what he can contribute. The Hecks head over to the Glossners', but it doesn't go well. They don't get the car, and Sue gets trapped. As they prepare to go back to rescue Sue, other neighbors show up to help. The battle feels like something from an action movie, which is very entertaining. Frankie manages to get to the garage and into the car, but Rita is hiding in the back. This scene is very funny, especially when Frankie tries to convince Rita that they need a "mom revolution" and when she makes her escape. The family gets the keys to Brick, who has wanted to drive the whole episode, and he gets the opportunity, but hilariously drives slowly and cautiously to prove to his parents that he can do that. Sue tries to get her snowglobe back, but the Glossner that is in love with her tries to keep it from her, and has a really funny line about how he has bettered himself (after buying beer and cigarettes, he still has eighteen dollars left from his paycheck). In the end, everything is resolved pretty quickly, as the police show up. I did really like the fact that having less kids around made Rita less crazy in the end though, it was very fitting for the show. This wasn't a great episode, but it was a really nice finale to the tension with the Glossners, and it had its funny moments, especially between Frankie and Rita. The pacing was a bit off though, I wish that the battle hadn't been resolved so suddenly, and considering the episode's focus on the battle, I think they should have gotten to it faster. What did you think of "Hecks vs. Glossners: The Final Battle"? Leave your thoughts in the comments!